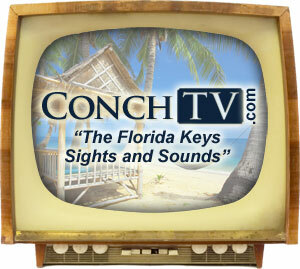 ConchTV.com presents the newest and most complete video travel guide to accommodations, arts, attractions, boating, bridal, dining, diving, entertainment, events, family travel, fishing, living, real estate, shopping, transportation and watersports from Key West & The Florida Keys. Hear Free Internet Radio From Key West & The Florida Keys. 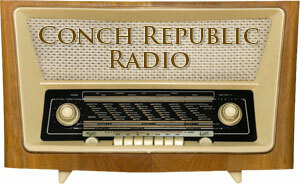 ConchRadio.com is the Number One “Trop Rock” Internet Radio Station! ConchRadio.com streams non-stop feel good island music for a Key West & Florida Keys vacation anywhere and anytime! Tropical music, videos, travel information and more! Are you a company that provides related services to those visiting Key West or planning Florida Keys vacations? If you operate a Key West Guest House or own a company that provides Visitor Services or even Charter Fishing then you know how vital it is to set your business apart from all the others in the area. Additionaly, you realize the importance of setting up a viral Internet presence. Clearly, many travelers who are planning Florida Keys vacations put in a great deal of research online prior to ever stepping foot on the sandy Florida Keys Beaches. If you are searching for a way to vehicle for your business to pop out from the competition and are interested in creating an Internet position that is sure to grab the eyes of your target audience, The Conch Republic Media Group has the solution you are looking for. When you feature your business on ConchTV.com and ConchRadio.com web sites, you can be sure your business info will be seen and heard by those who are planning Florida Keys Vacations. Because the HD videos we create stream full screen and in standard cable TV quality, you can be assured in knowing that the professional business videos we produce will be well received by anyone who sees them. So, no matter if you own a Key West Guest House, a Watersports Business or even a company that offers Wedding Services for couples planning a Key West wedding, ConchTV.com is here to help promote your business or services. Contact us today to learn more about how we can help you more effectively reach people who are planning Florida Keys vacations.